A brief list of popular web sites freely available from U.S. federal government agencies. Click here to learn more about the FDLP. Click here for a list of all Federal Depository Libraries in Rhode Island. Provides access to U.S. government science information; the search engine covers over 55 scientific databases and 200 million pages of science information; offers a gateway to over 2,100 scientific web sites. Current; Search tool from the U.S. Census Bureau that allows you to locate census data, create and customize tables and maps, and download data; provides useful facts and information about your community, your economy, and your society. 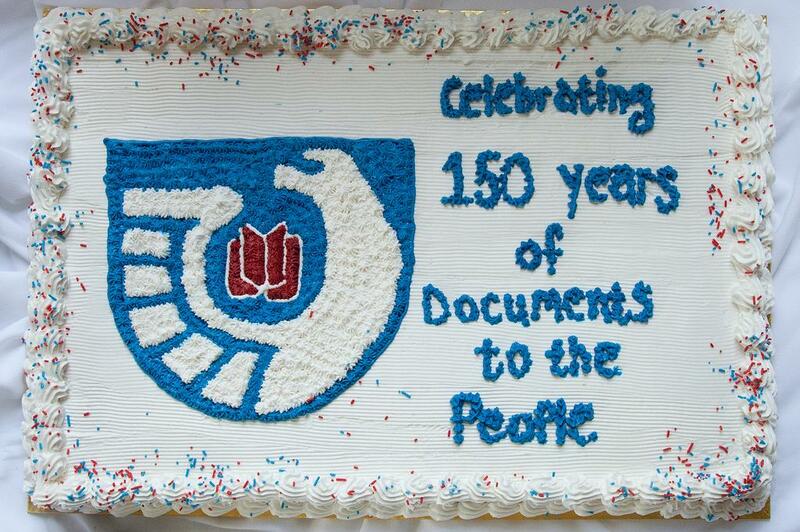 Includes PDF files of printed reports from the decennial censuses from 1790 to 2010. Provides access to information from all three branches of the federal government, including popular sources such as the Congressional Record, Federal Register, Code of Federal Regulations, United States Code, congressional hearings, Budget of the United States, and more. This U.S. Government Publishing Office (GPO) authenticates and preserves these digital files for public use. A searchable database of the Supreme Court decisions since 1893; part of the free legal information on the Internet provided by Thomson Reuters [not an official U.S. government web site]. Official web site of the U.S. government for finding and applying for federal grants. Provides access to the Library's catalogs, collections, digital content, and other information and links. Provides catalogs and tools for searching NARA's collections, access to NARA's digital content and databases, and links to other archival resources. Provides access to NLM catalogs and publications, data and statistics from NLM programs, and other links and information on medicine and health. PubMed is a service of NLM. Official web site of the U.S. government for public participation in the federal regulatory process. Allows users to search for proposed regulations and comment directly. Provides the text of Supreme Court opinions from October 1991 (volume 502) to the present. Also provides the text of oral arguments (2000 to the present), docket information, biographies of the Justices, and other information about the Court. Provides information from the White House and executive branch agencies, including blogs, photos/videos, speeches, reports, and other information. Provides links to presidential memoranda, executive orders, and proclamations. Provides information on the history, people, government, economy, geography, communications, transportation, military, and transnational issues for countries around the world.